This verse tells us that while getting along with others, everything we said should not harm others but edify them. In daily life, when others are sad for hardships, failure or setbacks at work, what they most want is our comfort and support. 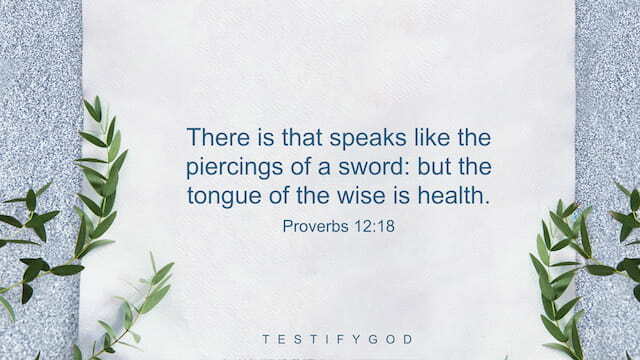 If our words are rash ones like sword thrusts as described in this verse, instead of comforting and helping others, we will cause them greater pain. If we blindly lecture others, they will become weaker. But instead, those who understand the truth are possessed of wisdom. They don’t rely on hot blood to treat others, but first understand others’ difficulties and help others with a loving heart.